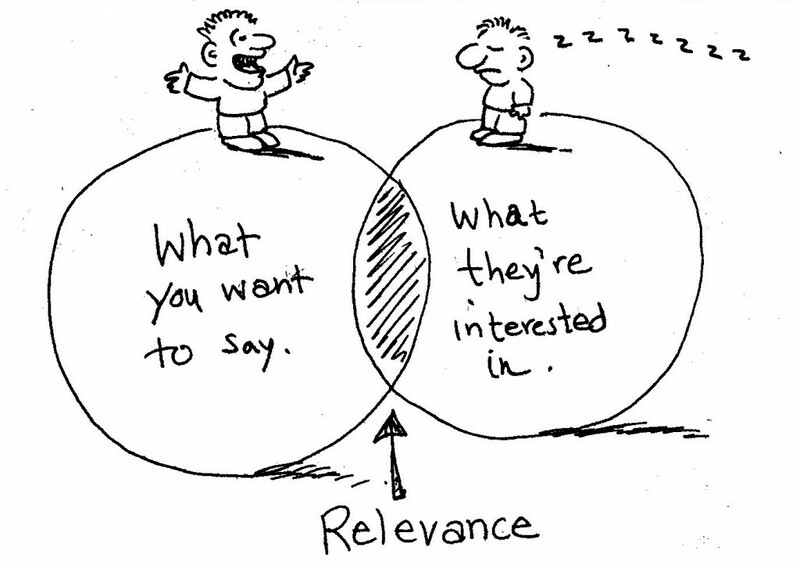 How relevant are you? This can be a difficult question if you are truly looking deep to see the authentic answer. Worse yet is if you are actively seeking to see if your work to remain relevant is working. Today’s broadcasters have a more limited field than they did in past decades. This is in spite of the fact that we now have a digital side. You see, most companies are working now only to establish themselves as powerbrokers of big national products. Radio gets its power from being local. I understand the temptation of the national platform, but radio is local, local, local. Still. The less local you get, the less authentically powerful you are. If you work in a local radio cluster, your relevance is more important than ever. You have to take into account that things don’t work like they used to work, but you also have to lean toward the future. The future is still content. It’s on-air, it’s visual, and it is written. And those are all areas where you can still have a dramatic impact in this business. 2. Be Excellent At Validation. Everything is validation now. Listeners want it. Advertisers want it. You want it. Give it to listeners and those generally in social media in your market. Check in on them. Seek out the people you most want to attract and influence. Give them attention in social media. Jump on bandwagons. Fire up positive vibes for something your core audience will be pumped to get behind. This means the most relevant personalities on the radio now are like the most relevant personalities of the past: They know their audience. They also have additional ways of reaching them and validating them. Make them feel your love for them and your appreciation of who they are. 3. Exhibit Fun. As Johnny Fever might have said in the 70s, “Radio is fun, man!” The stakeholders may have toned down the fun, but your job is still more fun than a lot of jobs people in your audience have every day. Your task in social media is to exploit that fun imaging and make it about the listener. Do that in social media and you…win. 4. Make Sure To Always Include Linkage Back To The Source. If you have worked with me as a client, you may know I have a special word for this. Essentially, it is powerful and important to focus your efforts in social media so that the attention you generate goes directly to the source (the product your company owns). If you are great at social media and it doesn’t translate back to the website or station, you’re just helping Facebook, Twitter, and other social media…and they don’t need your help. Always work to put the attention where it matters: on products your company owns. 5. Be Consistent And Authentic. Everyone else won’t. Oh, everyone wants to start strong. Okay, not everyone. A lot of people. But many fall off after a few days or weeks. Even if they have a true content plan (many don’t), they fizzle out. That results in…nothing. Work to be very consistent with your content (including consistency with 1 – 4 above). Work to be authentic in every step you take with listeners and with advertisers. People crave authenticity. Be authentic. Give the people what they want consistently and you will get ahead. No one knows the future. Your boss doesn’t know it. The president of broadcast companies don’t know it. Work like the content matters. Work like authenticity matters. Work like consistency matters. Work like validation (the only real currency) matters. Because it does. All of these things should be extensions of your personality on-air. Remember that careers don’t always take a straight line to get to the proper finish line. When you are successful putting all of this together and making it work with your known on-air personality, you will elevate your game. You may not know the future, but you can know preparation and creating value. Do that and you win for you, you win for your boss, and your company, and you prepare yourself for the next step in your career whenever it comes. ← How Does Your Value Grow In Today’s Tough Radio?